Lidl are proposing a new neighbourhood foodstore on land to the north of Thanet Way (A2990), Herne Bay. The subject site sits on the north side of the Thanet Way at the western side of the Greenhill roundabout junction. It is bounded by the railway to the north of the site and will replace the existing buildings at Roundabout Farm. The proposed Lidl site is a 2.91 acre plot and would be accessed via a new entrance off Thanet Way. Lidl propose the construction of a new single-storey building to accommodate a 2125m² foodstore with a sales area of 1325m². The proposed development will also provide 125 parking spaces situated to the front of the store, including disabled and parent and child spaces close to the store entrance. There will also be a brand new signalised pedestrian/cycle crossing over Thanet Way as well as an area for cycle parking. Signing this petition will help us to demonstrate to Canterbury City Council the weight of support for our application. Thank you for your support. We the undersigned fully support Lidl’s application for the provision of a neighbourhood discount foodstore at Thanet Way, Herne Bay. We agree to our petition data being used by Lidl to lobby local Councillors and Canterbury City Council to aid progression of the planning application. Address data may also be used to provide updates on the progress of the development / planning process. Information will not be passed to a third party, nor be used for sales purposes. 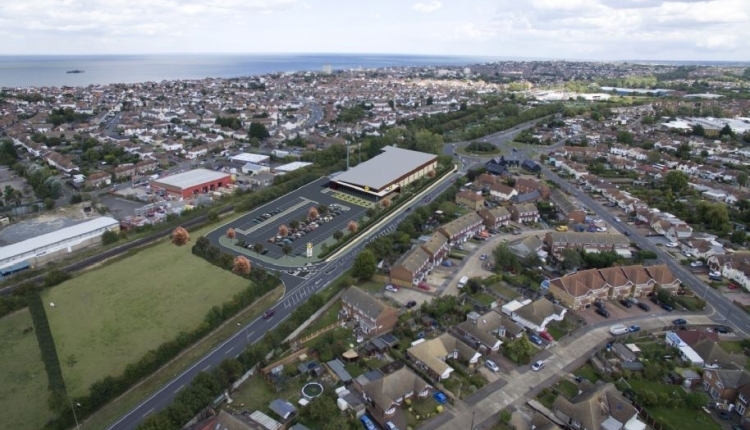 The Support Lidl in Herne Bay petition to Canterbury City Council was written by Northfleet Property and is in the category New and improved proposal at GoPetition.